The Graham Foundation recently released their list of this year's inaugural Fellows as part of the organization's new Graham Foundation Fellowship program. The fellowship program gives each recipient "...monetary support for the development and production of new and challenging works and the opportunity to present these projects in an exhibition at the Foundation's Madlener House galleries in Chicago." 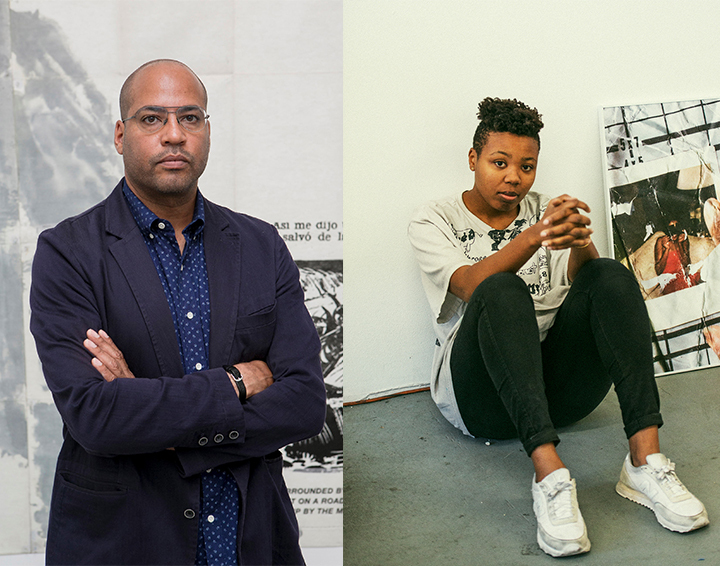 SAIC alumni David Hartt (MFA 1994) and Martine Syms (BFA 2007) have received the prestigious award. Hartt's project for the Graham Foundation, titled in the forest, is a multipart installation using the media of sound, image, and nature to explore the ideas of ideology, architecture, and the enviornment. Hartt's installation occupied the first and second floors of the Graham Foundation building from September 14, 2017 until January 6, 2018. Syms will also exhibit an immersive installation work based on the idea that anything that you do while being watched is a performance. The installation, titled Incense Sweaters & Ice, is based on a previous video made by Syms' of the same title. Syms' installation will be on view at the Graham Foundation from September 2018 until December 2018. Read about the fellowship program and other winners at the Graham Foundation. Art and Technology Studies Assistant Professor Allie n Steve Mullen works to find the harmony in communicating with others.